It's here!! The latest instalment by award-winning bloggers Little Button Diaries, The Dinosaur Craft Book! I have been very excited to get my hands on the latest of Tia Williams and Laura Minter's craft book. We are huge dinosaur fans. 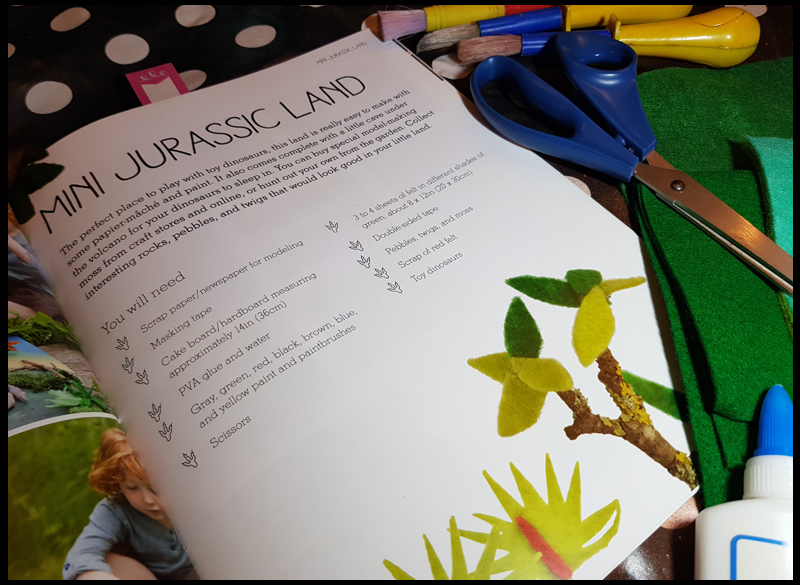 These pages have all the items your little budding palaeontologists and dinosaur hunters could dream of - whether they want to study dinosaurs or BE dinosaurs this book has it all! 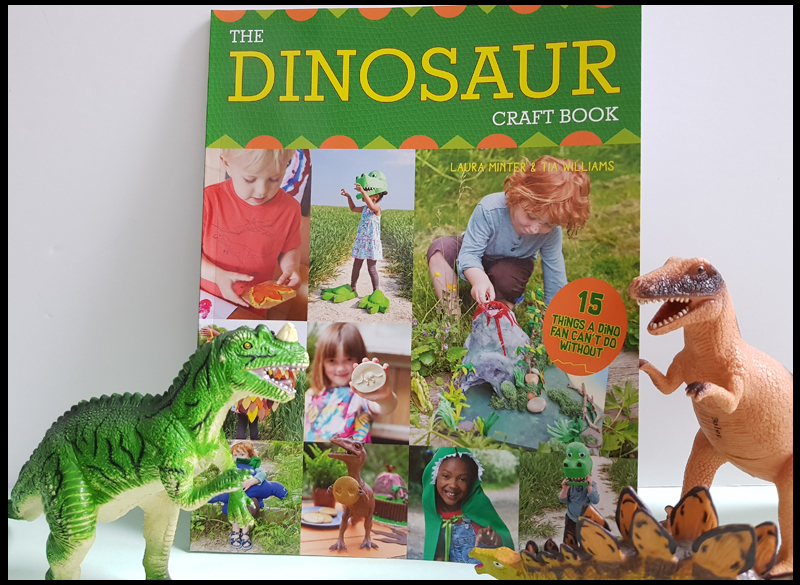 Containing 15 dinosaur-themed projects to make, The Dinosaur Craft Book will get your little ones crafting and creating in no time. Aimed at children aged 3+, all of the projects can be made either from readily available items or from easy-to-source materials and parents can have little to no craft experience to help! As well as dinosaur costumes to wear and essential accessories, there is also an epic Volcano Cake, perfect for any Party-saurus! 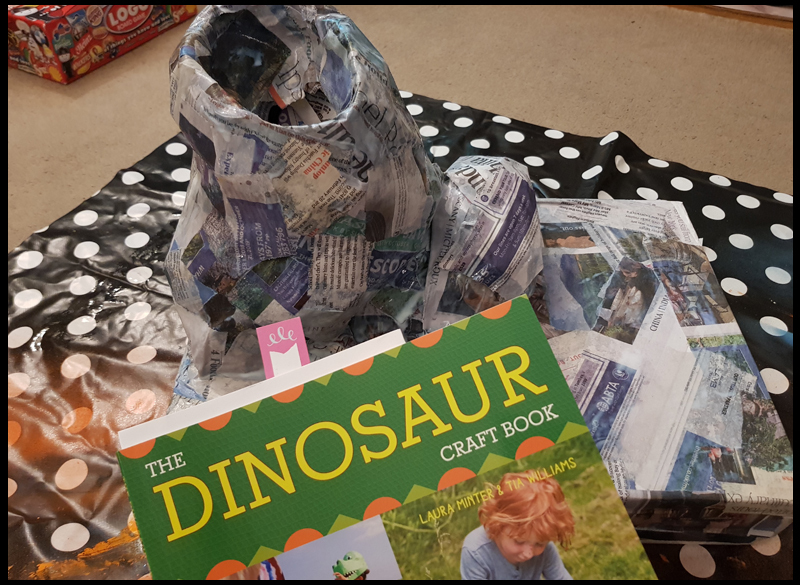 Projects include Dinosaur Paws, Pterodactyl Wings, an adorable Snugglesaurus Cushion, a Spiny Dino Cape, a funky Triceratops Pen Pot and a matching Magnetic dinosaur-themed Pen case. I'm so pleased to say this book did not disappoint! It is the latest in series of books from Little Button Diaries and we always have fun making several of the crafts. With my son's love of dinosaurs, this book has really hit the mark. We have decided to make Jurassic Island as our first craft from this book, and as mentioned above we had everything in the house already, including the felt pieces! The felt are leftovers from when I made the Troll outfit! My son is now of an age where he reads the instructions with me and takes over the crafting side more, although I have to admit, whilst he was happy to mould the volcano by screwing up balls of newspaper, he very quickly lost interest in the paper mache step! So both me and his dad were left to finish the volcano, he's now waiting very eagerly for it to dry so he can paint it! What I love about these books is they are packed with How-Tos for when we have art projects for school! Thanks to Little Button Diaries we are dab hands at paper mache now - I just need to get my son to do it! Laura Minter and Tia Williams are two creative mums based in Brighton. They started Little Button Diaries, their crafting and baking blog, in 2013 and its popularity has seen them write for companies such as Paperchase, Laura Ashley and Hobbycraft as well as contribute to The Sun and magazines including Creativity, Essentials and Mollie Makes. They won Best Craft Blog at the 2014 Mum and Dad (MAD) Blog Awards and a 2015 Brilliance in Blogging award in the crafts section. Tia has worked as an environmental adviser and studied Linguistics at University with a focus on child language acquisition and disorders. Laura was a Primary School teacher and previously worked as a Radio Producer. Both of their prior careers have greatly informed the development of their blog and their books. This looks brilliant, perfect for dinosaur fans! My nephew would have adored this when he was younger, he'd have completed every single craft!